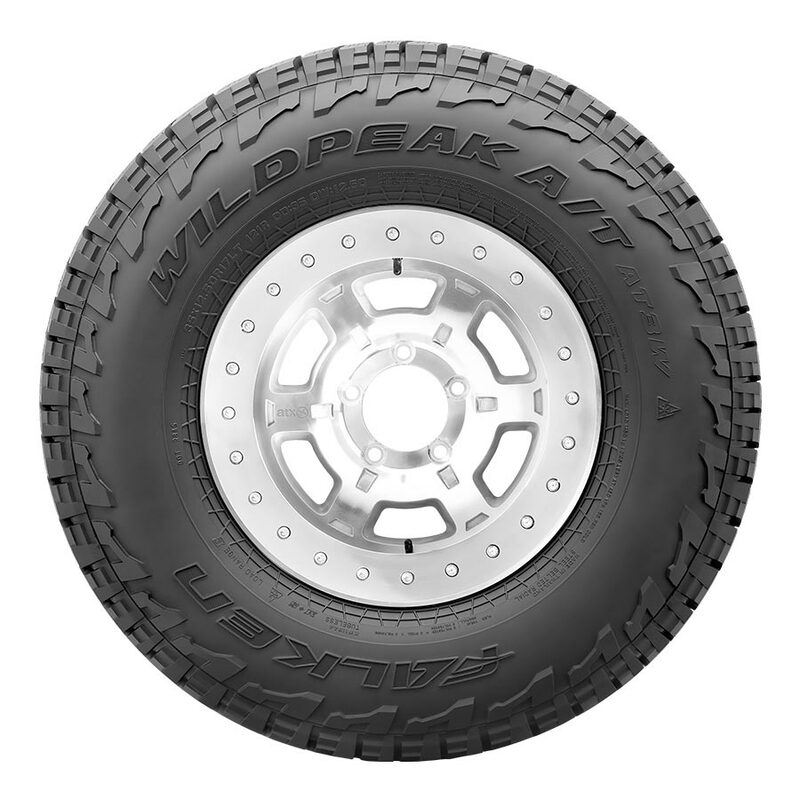 The WILDPEAK AT3W is engineered for adventure, any time and in any weather. The tyre combines aggressive off-road ability and rugged terrain driving without compromise on the pavement. An optimised tread design combined with a silica tread compound enables the tyre to excel in three areas: wear, winter, and wet performance. The tyre is packed with technology, from Falken’s patented 3D Canyon Sipes to an all-new proprietary lower sidewall. 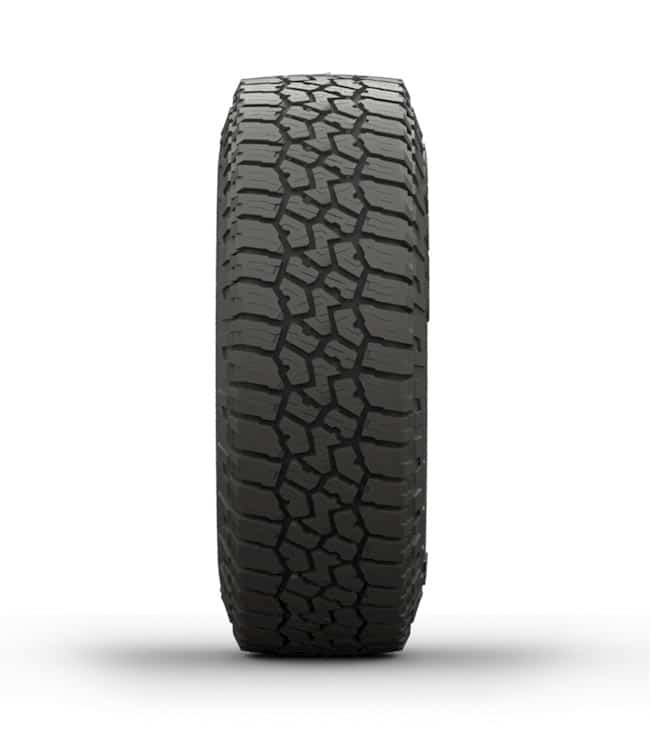 Full-depth sipes and grooves maintain consistent performance and appearance throughout the life of the tyre. In the lower sidewall dissipates heat to protect the internal tyre components. 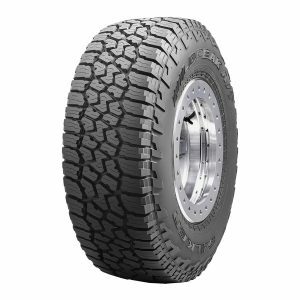 Keeping this critical area of the tyre cool ensures vehicle stability even when towing or carrying heavy loads. Interlocks the shoulders to resist wear from high torque as well as providing additional handling stability. Feature support ramps and step‐down features that provide tread-pattern rigidity in the contact patch, enhancing vehicle stability and handling while also preventing stones from becoming trapped in the grooves. 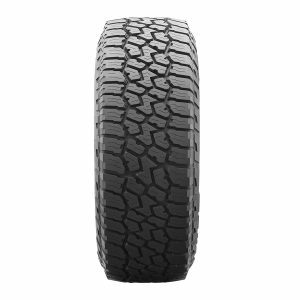 Along with offset shoulder blocks protect the tyre from sharp rocks and provide additional off‐road traction at low tyre pressures or in off camber situations.